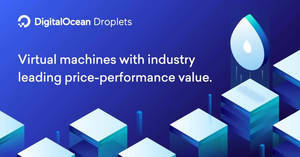 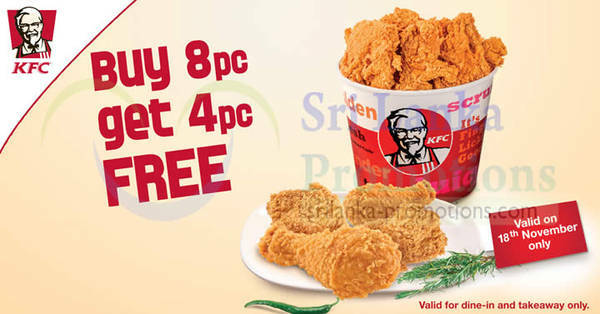 Plus fill in the coupon and get a FREE ice cream cone. 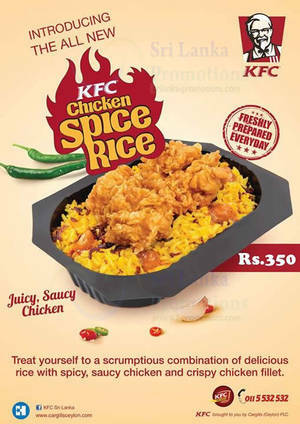 Treat yourself to a scrumptious combination of delicious rice with spicy, saucy chicken and crispy chicken fillet. 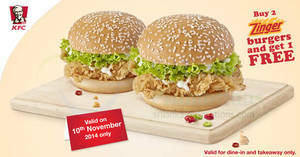 Simply buy 2 Zinger Burgers for Rs 780 and get a 3rd Zinger FREE. 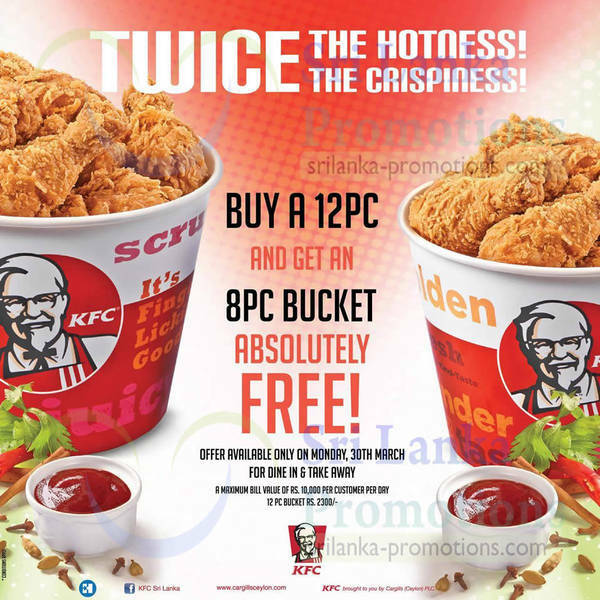 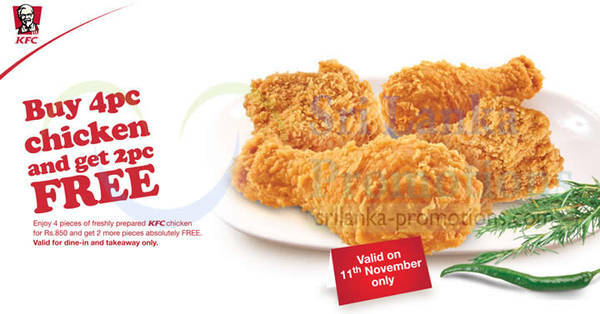 Offer valid for dine-in and takeaway only. 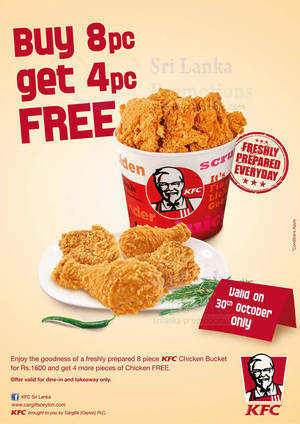 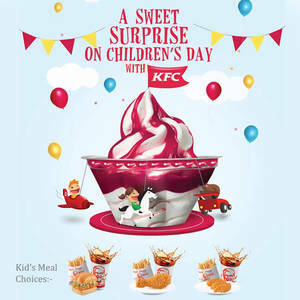 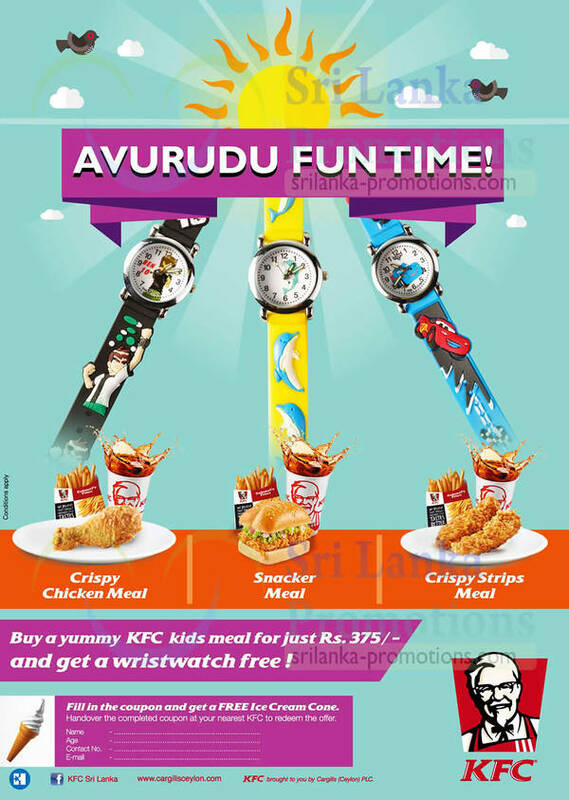 Buy a KFC Kid’s Meal for Rs 375 and get a delicious KFC Mini Sundae absolutely FREE.